The S.A.P. 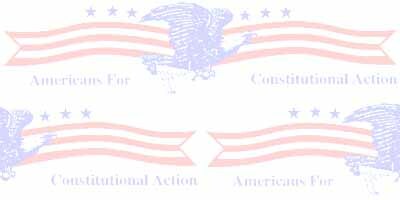 Fellowship is a first amendment association dedicated to seeing the IRS and other government personnel obey the law. Our association recognizes the necessity of taxation (raising of revenues) but we also recognize that this necessity has provisions in the law, and that the government, in meeting its exigencies, may not extend its activities beyond the law. The Fellowship actively promotes the study of the law and the assertion of one's rights in accordance with the law. It does not "protest" or "object" to any tax, income or otherwise, and is NOT a "tax protest" organization. However, Fellowship members believe that many Internal Revenue Service (IRS) employees routinely misapply and illegally enforce the provisions of the law and that the public must find a way to hold them within the law. To that end the Fellowship educates the public, shows in its publication what the law actually says, and attempts to clarify the limitations of various tax laws as was intended by Congress. The Fellowship does not advocate or condone unlawful resistance, protest, or other like actions. However, as law abiding citizens we will not tolerate illegal threats, intimidation or acts of violence by government employees who exceed their authority under the law. The Fellowship has researched and developed legal defenses to help prevent this and to protect our Liberty and Property from these unauthorized attacks on us by our own "representative" governement. The Fellowship belives that this has become necessary because too many government bureaucrats have been relying on unlawful and un-American tactics such as fear and intimidation to keep the public "in line" in order to perpetuate their own private agendas. They have and continue to use the news media to plant stories suggesting that resistance is useless and reprisal is swift and financially painful. These "reminders" and a lifetime of conditioning make it difficult for most people to assert their rights. However, S.A.P. Fellowship members have joined together to help remove the risk by pledging to assist one another in this battle ! To our knowledge, there is no insurance company willing to buck the system and insure Patriots against the criminal acts of government agencies or their employees. Creating and operating a conventional insurance company would have been impossible. The bureaucrats would have insisted on our submission to the dictates of the Insurance Commission. In no time at all we would have been expending funds fighting legal actions just trying to survive. It would have also been necessary to protect such funds from the searching eyes of the IRS and other government agencies. There was only one totally logical answer: a FELLOWSHIP that gives the Patriot insurance-like protection, hence to Save A Patriot.